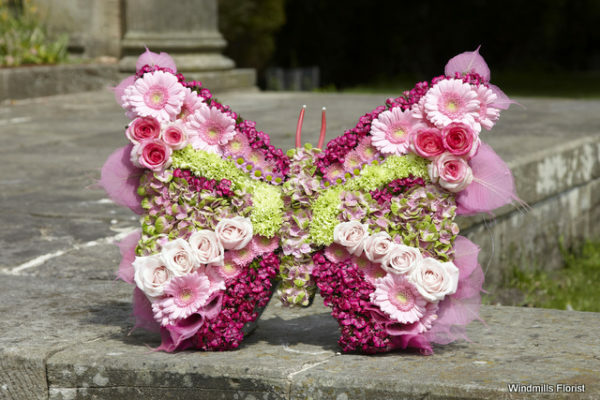 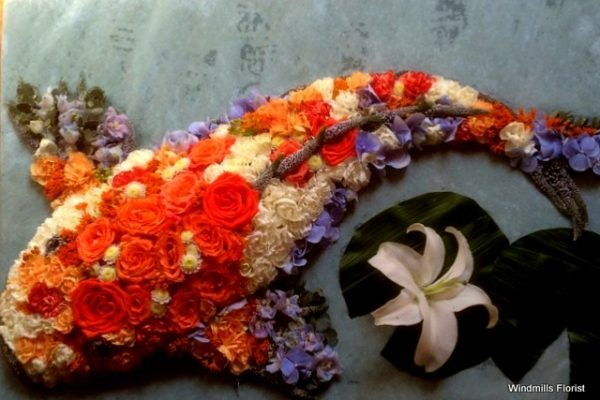 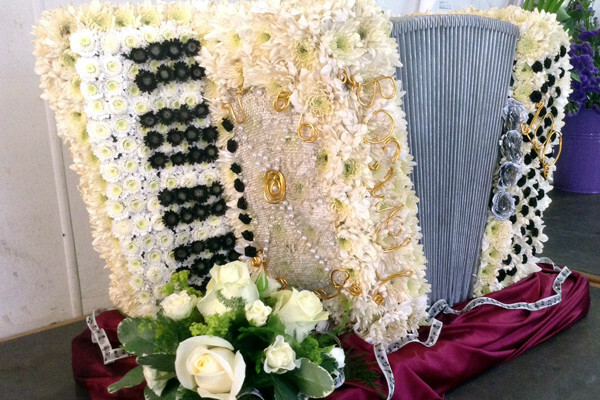 We offer a very wide and varied selection of funeral tributes ranging from simple sheaves, wreaths and posies through to the most elaborate casket sprays and designer pieces. 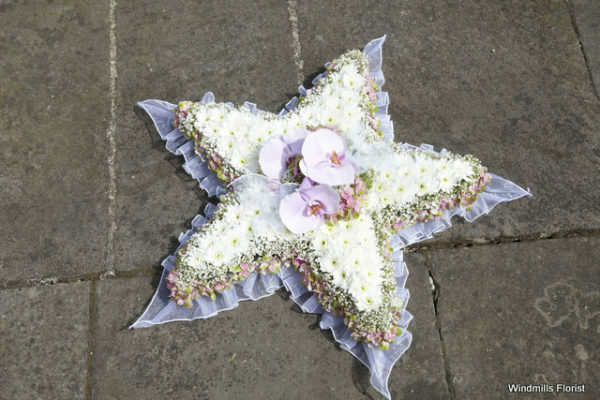 We can customise and adapt any tribute to suit your personal needs or after an informal discussion with one of our experienced staff we can design and create a tribute to your specific requirements The designers at Windmills florist have significant expertise in providing thoughtful and beautiful floral funeral tributes. 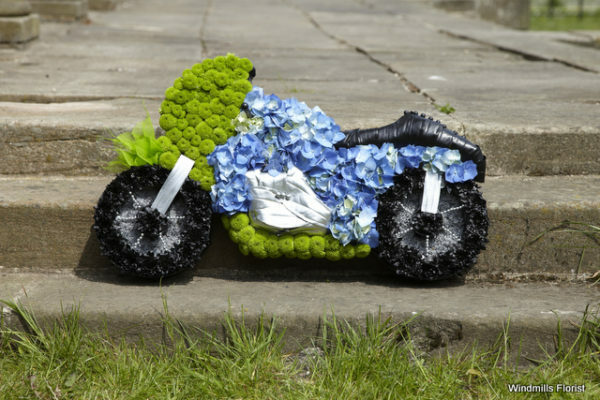 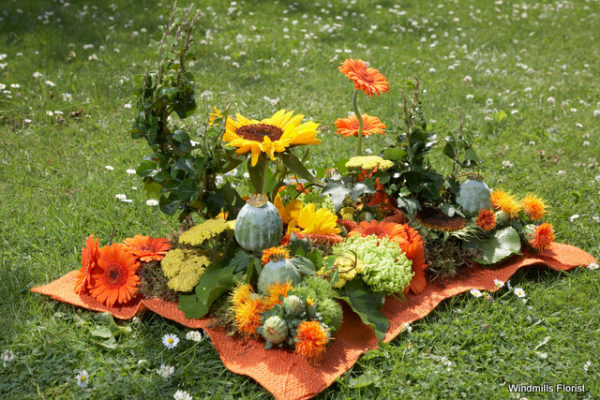 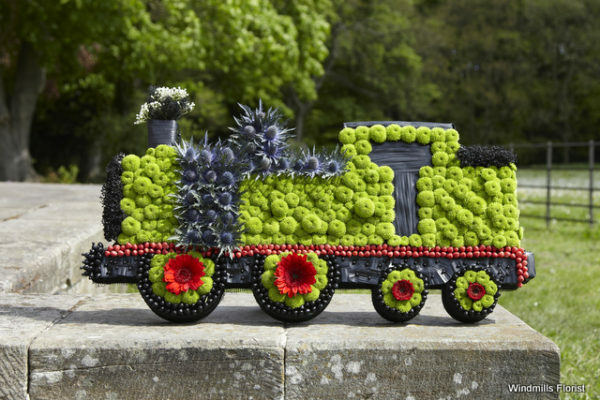 Whether you want a casket spray, a few stems of a favourite flower, a simple posy or a bespoke design reflecting hobbies, passions or personality, we will be able to help you. 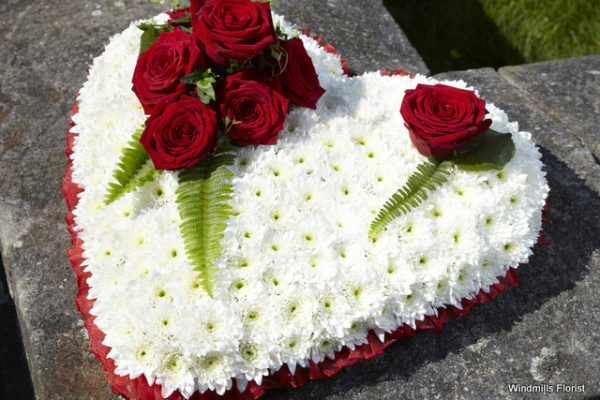 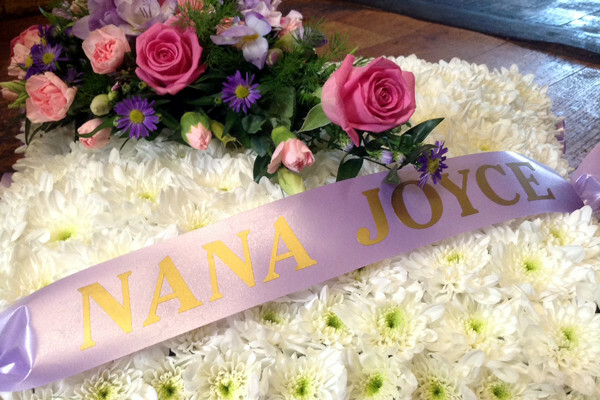 We can organise for funeral flowers to be delivered to local funeral parlours or private addresses. 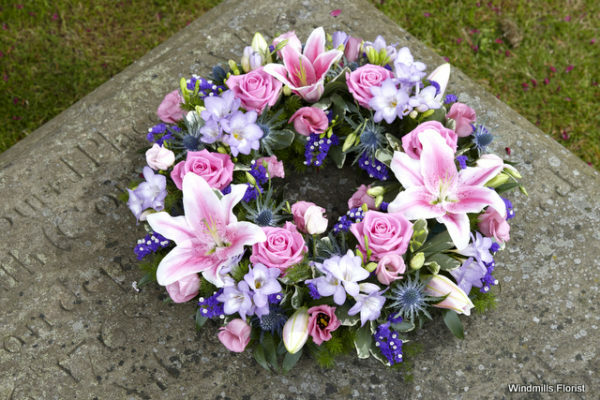 It’s useful (but not essential) if you can have all the funeral details to hand when ordering, including the service time, the name of the funeral director, and any other information that may affect the delivery timings. 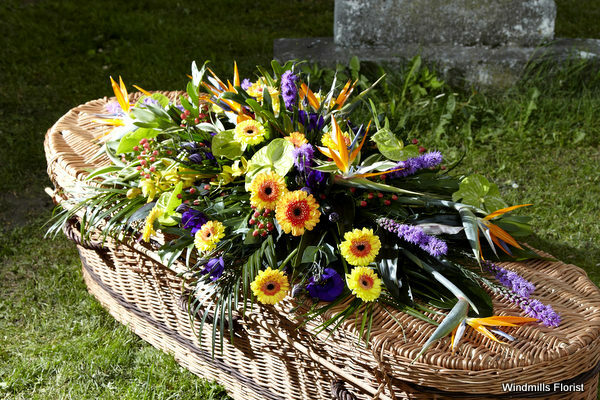 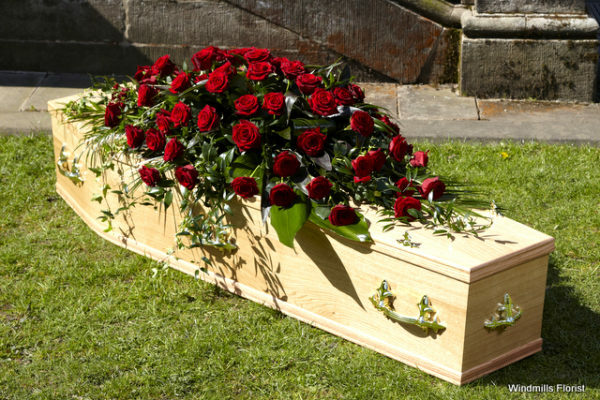 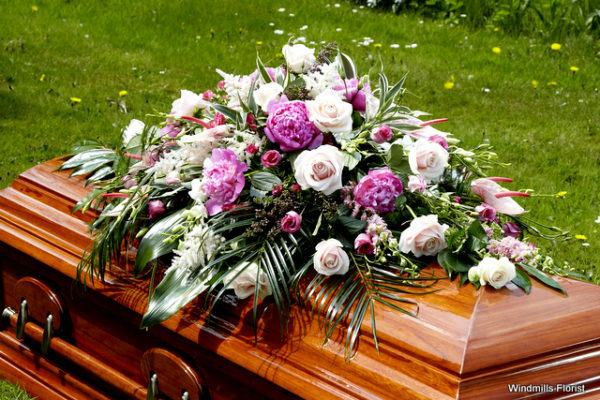 We have extensive experience in dealing with many of the funeral directors in Woodbridge and surrounding areas and we are happy to liaise with them on your behalf. 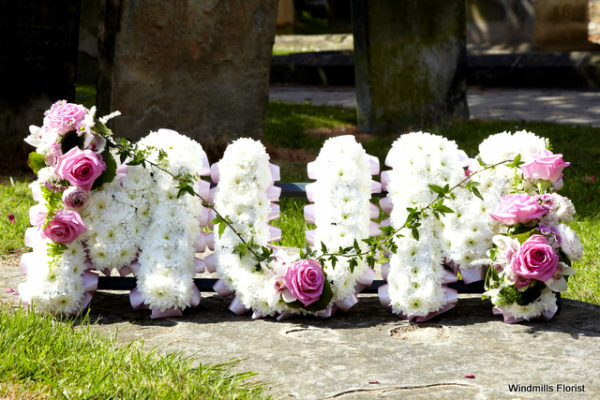 We also offer a relay service to arrange for funeral flowers to be delivered anywhere in the UK. 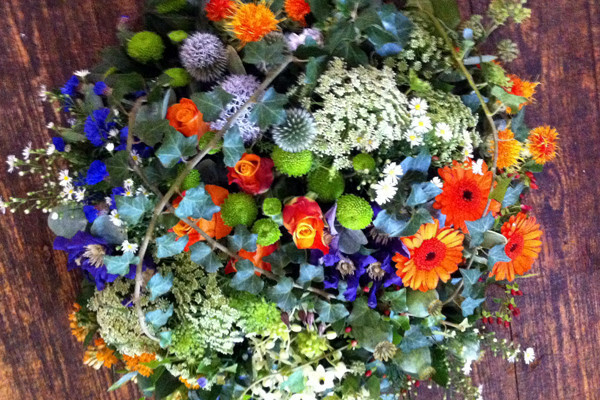 Please Phone us on 01394 384109 if you have any questions or require any further help.